Our joint passion is to assist Johnson County cancer patients, their families and caregivers with the special needs they have. There are services other than medical treatment that can provide some comfort and peace of mind to patients as they battle cancer. The ATHENA Society of Burleson works cooperatively with The Careity Foundation to administer these programs for uninsured and underinsured residents. The doctor delivers the diagnosis: Cancer. Few words cause so much fear and uncertainty in a person’s life. Where do I start? What do I do? What are my options? A cancer diagnosis does not have to be devastating. Utilizing funds raised by the ATHENA Society of Burleson, supportive and clinical services have been available through the Center for Cancer and Blood Disorders and the Careity Breast Care Center at Texas Health Huguley Hospital. The ATHENA Society of Burleson also provided funds to The WARM place where children and families receive grief support after a loved one passes from many diagnosis’, including cancer. Her child continues to fight a long, hard fight against a catastrophic illness. When a cure is not possible, only one thing remains, to provide comfort and care, for as long as needed. Pediatric palliative care does not focus on the end of life, but on compassionate specialized care for the living. Recognizing that thousands of Johnson County children receive care at Cook Children’s Hospital every year, the ATHENA Society is proud of its financial contributions to Careity Foundation in support of the pediatric palliative care program at Cook Children’s Hospital. The ATHENA Society stays true to its mission to assist women in realizing their full leadership potential, participating in the community by contributing time and energy to improve the quality of life for others, serving ethically, with dignity, grace and sensitivity. 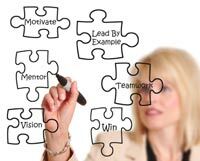 Mentoring and enhancing the lives of women is the cornerstone of the ATHENA organization. Funds raised by this committed group provide women the opportunity for personal growth through the development of leadership skills and continued education. The ATHENA Society of Burleson has donated funds to the Burleson Opportunity Fund which provides higher education scholarships to students in Burleson ISD as well as Harvest House which provides school supplies for children in Johnson County. *The Careity Foundation is a Texas 501(c)3 with two initiatives. The first initiative is to provide services for early detection of breast cancer and onsite support services in an oncology setting for economically challenged cancer patients. The other initiative is to provide relief to children with devastating diseases and life threatening illnesses at Cook Children’s Hospital in Fort Worth. Some of the services provided by Careity include patient gas cards, Cancer Navigation and Guided Imagery, psychotherapy, mammograms, nutritional supplements, oncology massage therapy and acupuncture. The ATHENA Society of Burleson is a contributor to the Pediatric Palliative Care at Cook Children’s Hospital and to the Careity Breast Care Center at Texas Health Huguley Hospital. The ATHENA Society of Burleson accepts Request of Funds Applications from November 1st through January 31st. In order to request a Request of Funds Application, please contact The ATHENA Society of Burleson. Only 501(c)(3) organizations may request applications.